I’ve been dying to visit Grass Espresso for months, but the opportunity has never arisen until now! According to Urbanspoon the cafe doesn’t open on Saturday (?) so we got up early on a Sunday morning and ventured to West Perth to finally it check out. What we discovered was everything we expected and more, and we were so pleased when we arrived at the cute little grass covered haven. Obviously a cafe named Grass is going to feature fake grass (!!) 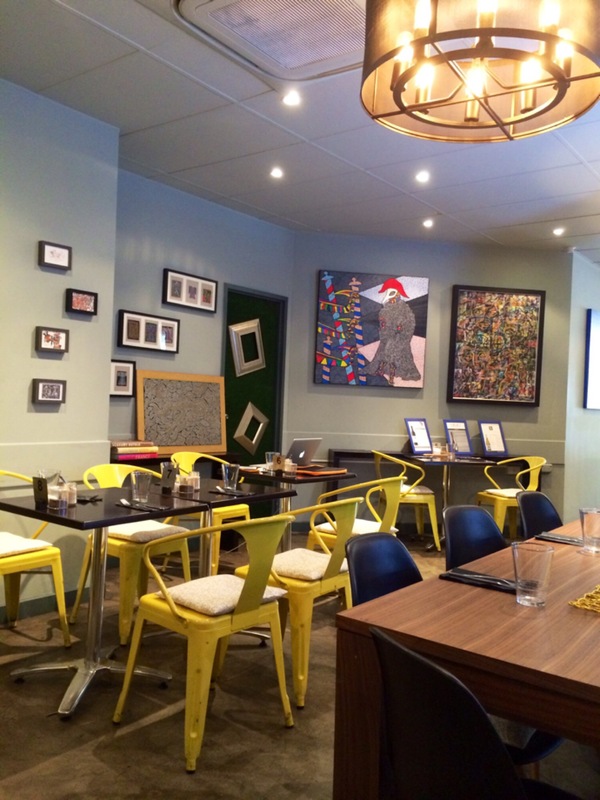 but it also boasts an eclectic mix of bright, fun Asian inspired art. The yellow and black decor is enhanced by gorgeous prints on every wall. You’d think that so many different pictures would clash, but it really works, and looks pretty damn cool. E was eyeing off one of the many paintings and she was this close to asking if she could purchase it straight off the wall. There is the option to sit in or outside, but since E’s allergies were playing up we decided to sit inside. The staff were super friendly and complimentary, bringing cold water (in a science beaker mind you) straight to the table as soon as we sat down. It’s the little things that make a brunch date, and on point staff is always a plus! The menu features a wide variety of breakfast favourites with lots of different decadent choices. 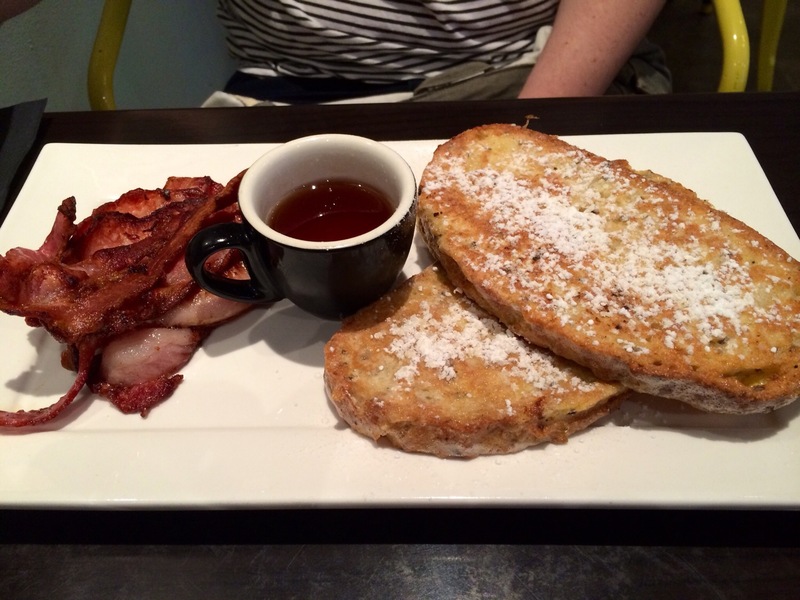 E went straight for the French Toast with Maple Bacon. Since her visit to Canada a few years back she’s been obsessed with the sweet and savoury combination. 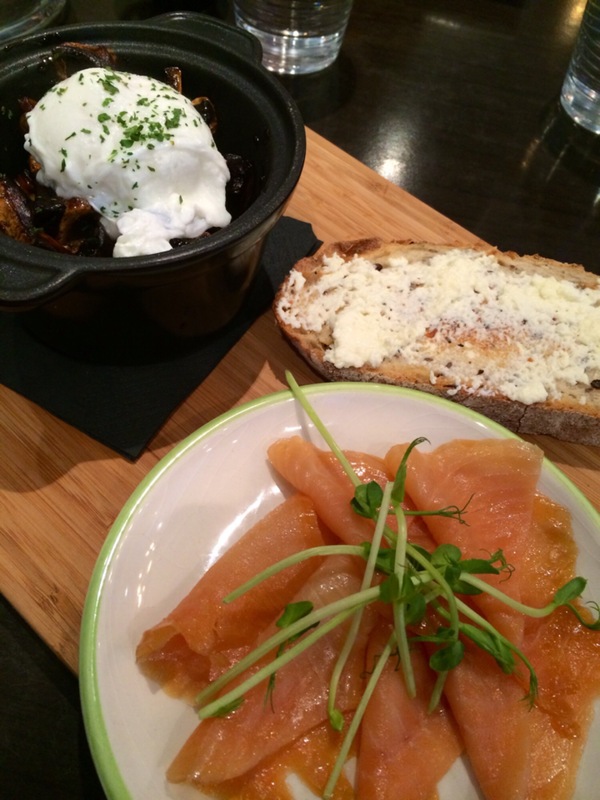 I opted for the Caramelised Mushrooms, Poached Egg and Ricotta Toast with a side of smoked salmon (of course). 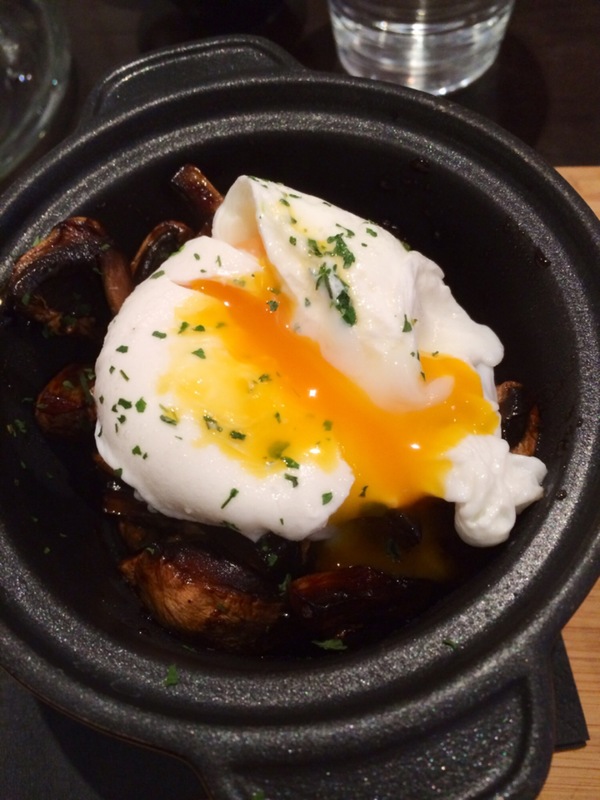 The egg was cooked to perfection – ample yolk ooze. The mushrooms were caramelised in a balsamic vinegar and combined with the egg and healthy ricotta toast I was in heaven. A lovely mix of flavours. I wanted more. Breakfast was served on wooden boards which I just adore and it was a gorgeous, flavoursome meal. I still can’t believe I hadn’t visited earlier. 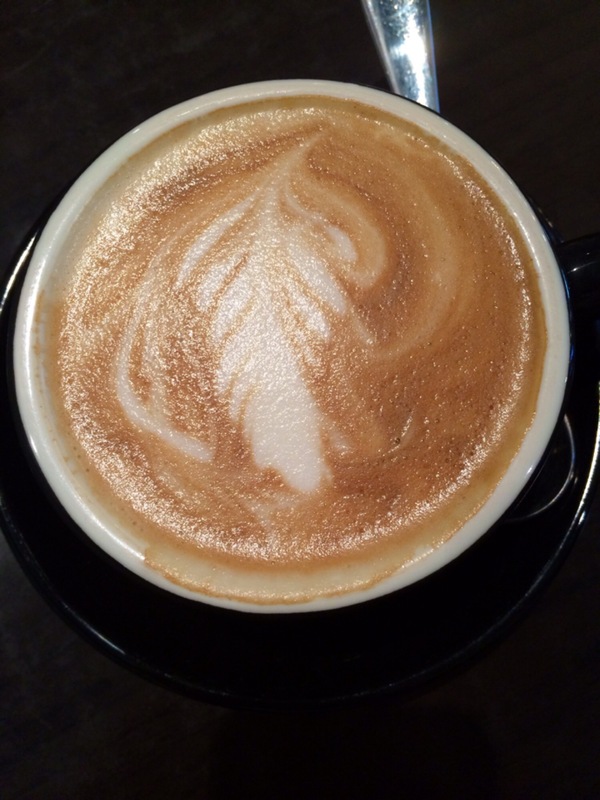 My usual Soy Flat White was smooth and creamy, and didn’t even need sugar. 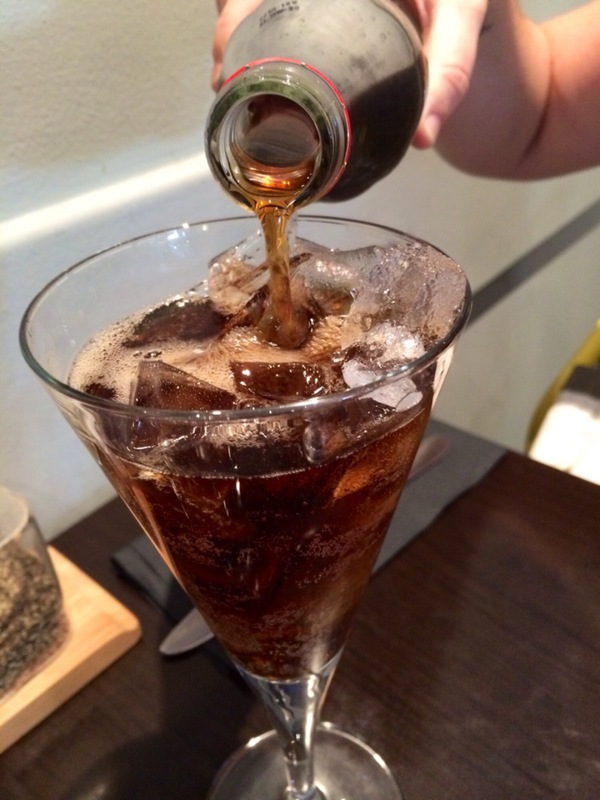 E’s Coke (yes, she drinks Coke at breakfast time) was served in a cocktail flute – fancy! 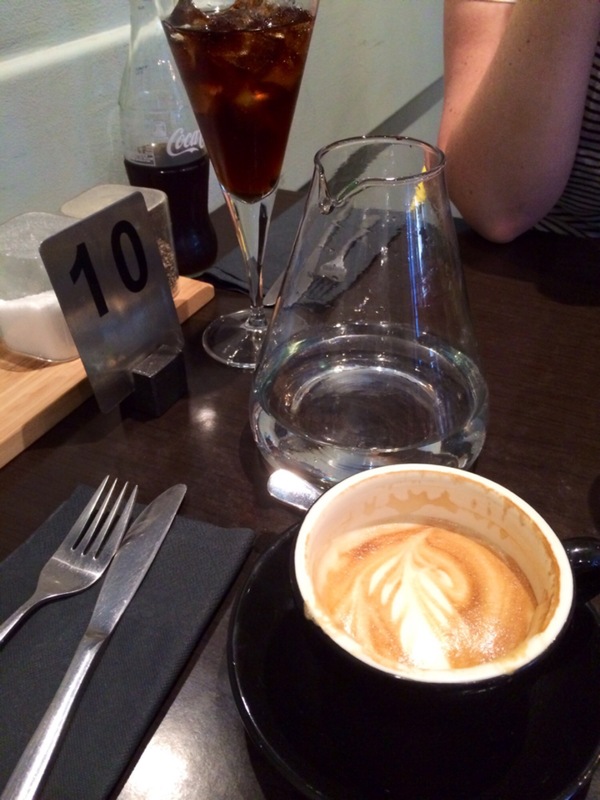 Grass Espresso Bar is a one of those places you need to visit. It’s a chilled out space, perfect for work or play, the food is special and you’re guaranteed a relaxed time. Special mention to the staff – gorgeous, warm and very accommodating. We’ll be back for sure, and I can’t tell you how many people I’ve suggested should visit! Are you a maple bacon fan? You take great photo’s of the food……………delectable. Thanks T! They could be a lot better – I need to take those tips I picked up at the food photography class more seriously! I didn’t even know this existed – super cute! I lived in Canada for a while and also became obsessed with maple bacon – we are starting to see more and more of it around Perth now as well.